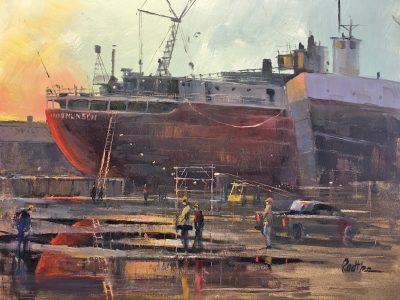 Award-winning artist Lee Radtke will be doing a live demonstration of his maritime oil paintings at the Door County Maritime Museum on March 10th. Watch in person as this talented artist brings to life the ships at Fincantieri Bay Shipbuilding. His paintings will be on display at the Door County Maritime Museum March 9-May 31.